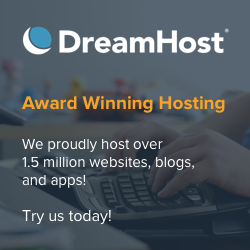 Home » Homepage » Can real businesses still find a use for Second Life? I had a recent conversation with a good friend, after reading this article from Wynd Ling on 10 ways Second Life can help your Business. 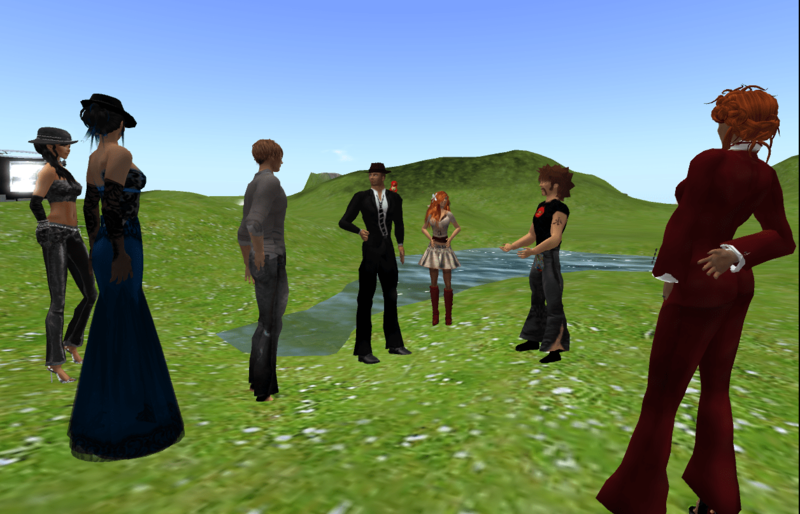 The discussion was around the use that Second Life® can have for real businesses. Is it still worth for a company to spend some time and money in this virtual world? What will Facebook release next? Now for all of you with short memories, it’s nice to remember that the main reason for companies to join Second Life was for the media splash. Media splash can be accurately measured, and whatever can be measured by a marketeer, can be sold to a client. The era of media splash has been superseded by “the era of VW silence on the news”, so companies after brand awareness will stay away from SL. On the other hand, LL having shut down their Enterprise division, kicking out a CEO with a third of LL’s workforce, doesn’t sound good for companies. The new board has clearly stated that Linden Lab will stick to their traditional, core consumers: residential users. All the rest is worthless to Linden Lab — be it education or corporation. So another reason why companies stay away from SL. So what is left? Things like remote training have strangely not caught on. In my field of work, it’s usual that I often get requests to set up “a simple videoconferencing system over the ‘net” — because half a decade ago there were a trillion companies offering that kind of service, often for free, and one assumes that these days such solutions would be commonplace — and free. Well, they’re neither. To be blunt, if someone wants a cheap, quick, and free videoconferencing solution, that works across Mac, Linux, Windows, and mobile/tablet platforms, there is little more than Skype. Or perhaps Google Hangouts, which is hardly as popular. And there are a gazillion dating sites with webcam chat. Once it becomes more “serious” and starts requiring a lot more complexity — whiteboards, tools to share information among participants, and so forth — solutions exist, but they’re expensive. On the broadcasting side, there are a few more solutions, but the simplest is simply to post a video on YouTube, or — better! — on Facebook (because it allows more selective sharing with groups). Real-time broadcasting is possible, and there are good free solutions out there (many are crammed full with ads because they’re free and, as a result, rather popular) which even include text-based chat for replying back to the broadcaster… but, in general, there are not so many alternatives. On average, videoconferencing solutions are custom-built, possible using Adobe’s framework or someone else’s. Strangely enough, for very specialised uses, Second Life would fit into this niche market neatly, when all participants know each other well and are thus not “reluctant” to talk to avatars instead of 2D “real” videoheads (and with software like FaceShop from Abalone LLC you could theoretically place your own RL pic on a SL avatar). All the needs for a business conference or academic seminar are easily scripted, and lots of solutions abound on the SL Marketplace or elsewhere. Still, while corporations are fine in using Skype, even though it has its limitations, they’re not flocking to SL as a cheap teleconferencing alternative. Teleconferencing is not just for “meetings” or “presentations”. It can be used to interview job applicants. It can be used to do employee evaluation. It can be used as virtual classrooms for training sessions. Personally, I think that Wynd Ling is right when she points out how useful SL can be for corporate communication — far beyond intra-corporation text chat, which is used by many corporations, either using their own intranet-based chatrooms, or even going into public chatrooms. She also points out another area which is quite interesting and rarely mentioned: using Second Life as a test bed. This has two main usages, and Wynd Ling mentions them both, very briefly. The first is figuring out if you have a sellable product or service. Not all can be “replicated” in Second Life, but some can. Imagine that you are an agent or talent hunter and have this band here which has a nice sound. Will they become the next superstar? How do you know? The traditional way is to get them into bars and eventually on low-end festivals and see the public’s reaction; an exchange of favours might get a song or two played on radio — or even on a second-rate TV show — and have the marketeers calculate the actual share that listened to the band. Then start pushing them up into the circuit and see how well they behave. This has a cost. Musicians need equipment which has to be carried around; they need technicians as well. So once a talent hunter “finds” a band or a singer, they have to invest a lot even for a small-scale promotion. Obviously, talent hunters and agents specialise in finding the “right” groups, and that’s why they’re in business. They also don’t need to be 100% right — they just need a group which gives them a slight edge over the competition — the rest will be handled by marketing. But in Second Life you can actually introduce the band and measure their performance in front of an audience. You get immediate feedback from the fans. They will join the band’s group. Venues will try to catch their attention and negotiate deals with them. And the band just needs to stay at home or at the garage where they usually train — all they need is to get them hooked up on the ‘net and they’re ready to go. There are similar things that can be done in SL as well — while stand-up comedy never really caught in SL (there used to be a lot of groups doing it, though! ), there are still venues where a good agent might be able to squeeze a stand-up comedian between two bands. Even if that requires some payment — because the venue prefers music to comedy — what’s the investment? L$2000? L$5000? That’s nothing compared to what they might need to pay. It’s not just the arts, of course. A lot of consulting services that don’t require specialised equipment can indeed experiment to launch a new business in Second Life and see how it fares. Psychologists or financial advisors could experiment opening an office in SL. But so could all kinds of conference speakers — from preachers to teachers. If your company is planning to launch a new conference on family economics, why don’t you do a trial run in SL? Just to see what the feedback is? And then use it to improve the conference and do it in the real world, after learning some useful lessons. Marketing a new product or service is hard in SL (because there is no mass media, and the SLogosphere is scattered and very fragmented). But it’s not impossible. In fact, not every company is able to afford ads on the mass media, and have to resort to different ways to promote their services or products. But this can be very hard and expensive — and it’s hard to predict the loss. It’s not enough to open up a shop and expect that people will immediately flock to your place — you need to learn how to promote yourself. While obviously not all types of business are able to be “simulated” in Second Life — it’s hard to do a trial run of a new junk food franchise! Avatars don’t need to eat, after all — a few can be simulated very effectively. There have been occasional experiments from travel agencies, for example. They found it very hard to promote their new products to their audience. But perhaps they learned that it’s not as easy as merely opening a shop. In fact, a lot of simulations can be done in SL (some of my clients have developed simulations as part of training courses — unfortunately, most of these projects are internal and confidential, so I’m not allowed to talk about them). The US armed forces do that routinely — and so does the Portuguese Air Force (even though they use OpenSim because it’s cheaper 🙂 ). But there are a lot of simulations for training people in emergency situations (how do you train people to deal with fires or earthquakes inside a fully working hospital? You cannot stop everything while you do a fire drill!) or to follow strict procedures in a controlled environment (think about the procedures to enter an industrial food processing plant, or a plant producing very toxic products, for example, all of which have to comply with a lot of regulations). Or to train people to deal with border crossing issues in Canada. All these can be done much better in SL for a fraction of the cost — and it’s far, far better than studying from textbooks with some role-playing sessions in a classroom. Training, in general, is a good area for Second Life, and academic research has focused a lot on that. But even corporate training — using simulation or not — can benefit a lot from SL. There is, of course, more than that. L’Oréal hired K-Zero a few years back to help them to establish brand awareness for their products in SL. This in itself is not new — the idea that you could get avatars to wear something (in this case, makeup) was well-established before, but was not such a big success as the companies expected. The audience of SL was not significant to convert viewers into customers. It’s now easy enough to look back and see why this would not be very successful. Due to a lack of mass media, it’s hard to find a strategy that makes a brand very visible in SL. So, instead, what marketeers did was to use Second Life as an “excuse” to attract the RL mass media’s attention. This is a metric that can be effectively measured and it’s routinely done by media communication experts: instead of simply buying ads on traditional mass media (which is expensive), they create an “event” or something similar that attracts the media’s attention, so that they write about it. Getting a journalist to talk about your “event” costs nothing; but the “event” itself, or whatever attracts the journalists’ attention, costs money. If the “event” costs more than an ad on the newspaper, then it’s not worth the cost. But often it costs far less. The problem with Second Life was that 1) in-world “events” tended to be very costly, and often far more expensive than buying ads for the same price; 2) Second Life stories quickly disappeared from the mass media, as journalists lost attention (they’re too busy chatting on Facebook and Twitter!). However, there is another area which can be well explored in SL. Suppose you are a small shoe brand, and wish to know what is going to sell more this Fall — red shoes or brown shoes? Traditionally, you’d hire a marketing company, who would set up a series of surveys, possibly using a “mockup shoe” and ask panels of consumers for their opinions. If a “mockup shoe” was not possible, then a photoshopped picture would have to work instead. Marketeers do their surveys and present the customer a result, usually explaining how their target group was picked, and presenting lots of statistics about the results, so that the company can make a decision. Now there is always a problem with these kinds of surveys. One thing is the intention to buy, the other is actually buying it. So thousands of women might answer that they prefer red shoes — but how many will effectively buy red shoes? This is hard to predict, but is usually analysed statistically. If the response from a thousand surveyed consumers is so enthusiastic (“all preferred red shoes”) it’s highly likely that red shoes will sell more. Do enough surveys over enough time, and it becomes possible to predict something like, say, “if a thousand people preferred red shoes, we know that we will sell 100,000 red shoes on our shops this Fall”. But it’s just a prediction, even though, over time, marketeers get better and better at predicting things. These days, many of those “inverviews” and “surveys” are done over the Internet. It has the advantage of being usually simpler and cheaper to set up, and that you can query a much bigger group. The disadvantage is that you have no idea of who they are — you have to rely on the assumption that they will answer correctly to things like age, income, spending habits, and so forth. Still, since it can reach so many people, it’s a tool worth using. The problem, again, is that it shows only intention. It’s better than just placing an ad — because you can tell how many people saw the ad, but have no idea if the ad was appealing and/or people remember to buy red shoes the next time they go to the shop. So marketeers do surveys for brand awareness as well — they ask different people about the ads they saw and how these ads “persuaded” them to buy red shoes instead of brown ones. Again, with enough time and lots of repeated surveys, a correlation can be found — so a company can, with relative accuracy, “predict” how many people will buy red shoes if they had good results on the surveys made before the ad, and, after seeing how the sales went, asking people if they had been influenced by the ad or not. All this is incredibly costly and takes a lot of time. Now imagine you have no budget to do all of the above. Instead, you can just pay a top SL content creator, perhaps one that already has an in-world shop, to create a replica of the red shoes and the brown shoes. Then you just need to watch what people actually buy for their avatars. SL shop owners will do all the required advertising on your behalf, and there is a consumer market of a few hundred thousand potential consumers. What could be better? Well, a nice press release to the SL media will not hurt, either — these will be far cheaper than the RL media in any case. It’s true that they will reach only a fraction of the potential market — but they will reach many existing SL residents, which are the “guinea pigs” for this experiment that actually matter. While the RL media will not pick up another SL story, the SL media, by contrast, will have no qualms in announcing this kind of thing. Even if the shoe company prefers to remain “anonymous”, they can do so: they can ask the SL shop owner to remain silent about the purpose of the whole project. For the shop owner’s clients, it’s just another pair of shoes. Of course, paying for some extra ads on prominent SL fashion blogs and websites won’t hurt, either. Now of course it doesn’t mean that people buying red shoes for their avatars will actually buy the same shoe in real life. But that’s irrelevant: the company just needs to establish a trend. They just need to see what people’s intentions are. The difference of doing it in SL is that people are actually buying the shoes — they’re not merely stating a preference, they actually will buy them. And that’s valuable information. On the Web, there are similar studies going on with “virtual dressing rooms”, like H&M’s Virtual Dressing Room. Aye, it’s something fun for H&M customers to play with, but there is more than just “a nice feature” — H&M can see, among their offerings, what kind of clothes and accessories their potential customers are actually picking to dress up their virtual doll. It’s not really relevant if they do, indeed, buy them. But it’s a different way of manifesting interest in a certain product over another. Obviously this makes more sense in the fashion industry, since everything related to fashion is so popular in Second Life, and makes up the biggest part of its virtual economy — an economy worth US$700 million annually. This is real money. Unlike H&M’s Virtual Dressing Room, which costs zero to use, buying items in SL has a cost. A small cost, certainly, but a cost nevertheless. What this means is that consumers have to make decisions based on the budget they have to spend — just like in real life. The choice is not merely between a red shoe and a brown one — it’s also knowing how well a specific design stands out, compared to competing products, so that consumers are willing to buy it instead of saving their money for something else. This is the difference between a “virtual dressing/makeup/hairstyling room” — which is usually free to use — and one done in SL. I might even argue that things go one step further: in real life, there is a limited amount of time for shopping, besides the limited amount of money. This means that the perfect red shoe for the right price might never be “found” by consumers, if it’s not properly advertised, or if it simply fails to gather attention. This is something that regular surveys or interviews cannot figure out. On the other hand, web-based “virtual dressing rooms” are visited during leisure time, and people can find them all on the Web with a few quick searches, and look through them very quickly — so there is a flaw in terms of perception. Putting into other words: you might find the perfect red shoe on the Web pretty quickly, and thus get the perception that it’s a “hot” article — while in the real world, if only a limited amount of shops carry that red shoe, and it’s not easy to find, or if it looks worse than on the picture… it might never sell. Second Life can simulate all that. Like in RL, we have a limited amount of L$ to spend. Shopping in SL is great fun — some might even think it’s more fun than in RL! — but it also takes time: there is a limited amount of shops one can browse through. Searching in SL is hard. Clever shop design make items stand out of the crowd. People read fashion blogs and e-zines to figure out what to dress their avatars with. This is pretty much the same decision sequence, with similar constraints, that a consumer experiences in the real world. It’s not exactly the same, but it’s sufficiently similar to what happens in real life to make comparisons and correlations much more accurate. As said, it’s not only fashion that can benefit from that. Furniture, home appliances, and home decoration come as a close second, and perhaps these days vehicles are not far off. We’re now starting to cover a lot of ground! It’s true that consumer perception can be measured in SL and become a good tool for companies to figure out better what kind of products or services they can expect their potential customers to buy — at least, that’s the case for things like music, fashion, furniture, and vehicles. Communication, training, and simulation are other areas that can be exploited. Doing “try runs” of new business models — specially if they are services that can be sold via a successful “sales pitch” — also work well. All of these can be done very cheaply, have a potential market of a few hundred thousand potential consumers, and can give the company some excellent feedback. This should be the focus for them. Brand awareness, by contrast, has lost its appeal — because brand awareness, these days, will not reach beyond the borders of the virtual world, as the mainstream media is unwilling to publish anything about Second Life. Directly selling real life products in SL has also been shown to be unsuccessful — web-based shopping is far easier. Even creating a “community” in SL around a brand has shown not to be worth the effort — it’s far easier and cheaper to do that on Facebook or on a blog, and reaches out to way more people. So these “classical” approaches of the Golden Age of Second Life are completely out. But that’s not all there is to virtual worlds. They still have a potential interest in some areas which are important for real world businesses. Not in all, but in many. Many of the things that rely on real-time interaction with consumers are better done inside virtual worlds than, say, on the Web. If a certain area just needs a limited reach, it might be replicable in Second Life — this is not unlike some “trial runs” done by some companies who start offering a new service just on a single, small town, just to get a feeling on how successful the product and service is, before deploying it nationwide (or worldwide). Second Life can be seen as a small town with a few hundred thousand inhabitants, and while its demographics are not quite in the “average”, they are nevertheless close enough for companies to draw some benefit — for little cost — from doing experiments inside the virtual world. I don’t think I believe in the return of the Golden Age of Second Life — 2006 was really “too early”. Second Life will not become a mass-market product in this generation. It’s only now that some educators — well, tens of thousands of them, in fact — are introducing Second Life into the classroom and teaching their students the benefits of using them. This might mean that the next generation — by 2035 or so — might become more aware of virtual worlds and how they can be used. It’s much less a “technology” issue but a question of education — getting used to the potential of virtual worlds. We should see this past decade as mostly a very early stage where things like Second Life are just appealing to very early adopters, and, as such, it’s a very tight and small niche market. Imagine that in 1980 you could predict the usage of the personal computer and the mobile phone and suggest that half the world would be connected with both to a single network, encompassing some 3 billion users. Everybody would laugh at you 🙂 It took us a whole generation until that became a reality. People in 1980 didn’t really need personal computers or mobile phones, they just found niche markets (and, of course, they were also very expensive and clumsy to use). Until they became mainstream products, it really took a lot of time, and the right “triggers” at some points — then they grew exponentially. Second Life is a bit like the days when the Apple II and the first IBM PC were out on shops — suddenly, for a few years, the whole market for personal computing exploded exponentially, from “zero users” to a few thousands in little time. But then it took a while to build momentum until we came to the staggering millions we have today. An interesting article on the growth of the personal computer market can be found on Jeremy Reimer’s website. Next post What makes us return to Second Life?